Candice Wigfield has more than 15 years of experience in the marketing, public relations, advertising and events industries. She holds an undergraduate degree in Communications from Clemson University and a Masters in Business Administration from The Citadel. Since joining the Hamby Catering & Events team in early 2011, Candice has been responsible for rebranding the Charleston culinary institution, recruiting and building a dynamic team, resourcing new avenues of revenue and developing lasting relationships with clients and organizations. While initially brought on to consult in marketing, Candice quickly moved into the position of Marketing and Sales Manager before transitioning into Hamby's Managing Director. 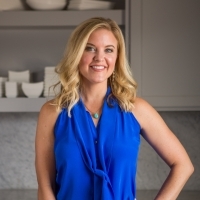 In 2017, Candice stepped into the role of President for the company and become the majority owner of Hamby Catering. Candice handles all aspects of operations, sales, marketing and business development. Dedicated to Hamby's family-oriented reputation and treasured values, Candice brought her father Wayne Culbertson on as COO. They are now the second set of multi-generational family owners for the company. Prior to moving to Charleston, Candice worked in the Office of Presidential Advance at The White House in Washington, D.C. and then spent five years at The Hughes Agency, a full-service marketing, public relations, advertising and events agency in Greenville, SC. Having lived abroad in Northern Ireland, England, France and Australia, she brings an international perspective to Hamby's business operations.